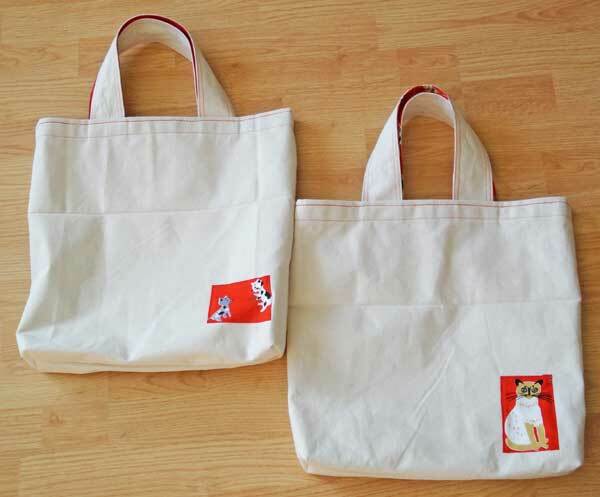 This year all my friends are getting a tote bag customized with fabric that is specifically chosen for them. The exterior is duck canvas, but to add a little personality, I select a fabric motif or something to sew onto the outside to hint at what is on the inside. 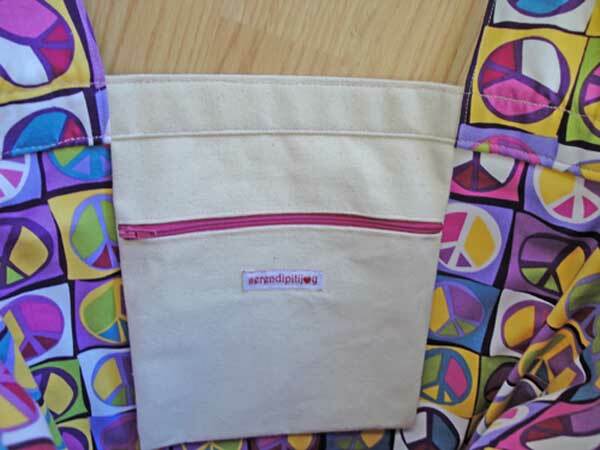 The handles are a little wider than normal so that the bag is easier to hold and the wider straps also make carrying the bag over the shoulder a little easier. I also thought that having an interior pocket was important to elevate the tote bag a little bit above the ordinary and worth the extra effort for birthday gift giving. I love my bag- I see it there! And there's Anna's! You're an amazing fabric artist. Thank you. This quilt was a lot of fun to finish. There's just something about red, white, and blue that is so uplifting and cheerful. The design is fairly simple. A panel in the center with the pieced blocks acting as a border and a very fun blue and white stripe fabric for the binding. It actually took me some time to accept this simple design. I kept wanting to fussy it up a bit, but sometimes simple is best. For the back of the quilt, I had a variety of nautical themed fabric that I wanted to incorporate. The pieced back also was a great way to use up some of my fabric stash. In preparation and anticipation for an upcoming trip, I decided to make a travel wallet to hold my boarding pass, hotel reservation confirmation, and other miscellaneous papers (letter size and A4); a moleskine notebook; pen; passport; and frequent flier card so that everything is in one place and I don't have to fumble around in my purse or backpack. Version 1 of the travel wallet ended up being too wide for my tastes, so I altered it. What follows below is the tutorial for the original version (Version 1) and the edited version (Version 2). Feel free to email me at serendipitijoy at gmail dot com if you have any questions or if some of the directions are unclear. The travel wallet is not limited for just travel, but can be made for every day use as well. 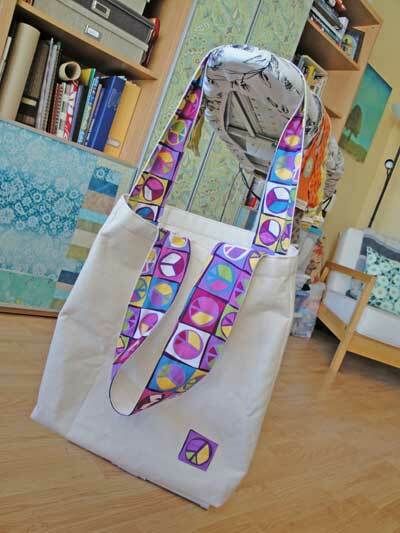 Amy Ellis of Amy's Creative Side has been great about hosting a virtual quilt show on her blog. If you have a quilt that you would like to share with the rest of blog land, go ahead and sign up for the fall 2010 festival. It runs from October 29 - November 5. The quilt that I'm sharing about is one that I made for my mom and took me approximately 1.5 years to finish and was my first (and probably last) king-sized quilt. Not necessarily because the piecing was difficult, but more because I couldn't make up my mind about the layout design and then later, the actual quilting. This love for sewing started with making baby quilts for my nieces and then quickly ballooned out of control to making all things fabric to the point where my sewing and creating stuff has overtaken my home. Why SerendipityJoy? Because there can be so much deep rooted contentment and peace (aka joy) in even the most difficult circumstances and we just need to be open to those moments for when God is reminding us He loves and cares for us.